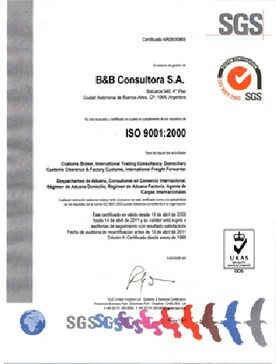 Cornerstones | B&B Consultora s.a.
Development of interfaces with our customers´ systems. – Obtain the information needed to perform the operations. – Unload imported goods (if applicable). – Transfer the information to Maria system and obtain the official validation. – Provide the official validation information with a product-level settlement. 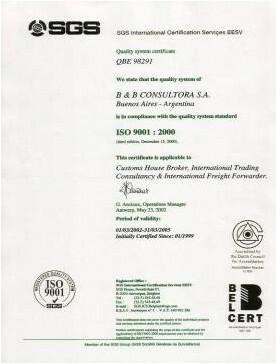 Access to our web page to follow up customs clearance and international freight forwarding operations online. 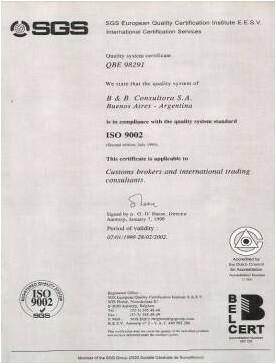 Personnel organized in accordance with ISO 9001:2000 standards. Standardized HR selection process based on customer’s needs. Definition of positions and profiles. Training plan with internal / external trainers. 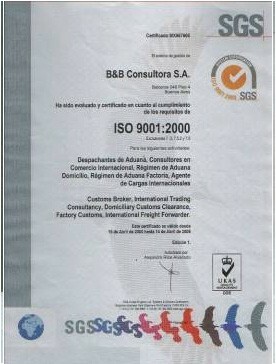 In B&B Comercio Exterior, the Corporate Social Responsibility is our commitment to the community and the environment. Our CSR Committee meets regularly in order to consider monthly actions, generate new ideas and ways of cooperation, inviting the ones who need it and need us. We work with NGOs jointly and constantly, participate in activities, offer our help in specific cases and introduce initiatives that may help develop them. We have a Code of Ethics that states rules and principles that inspire the way B&B employees behave. We participate in the United Nations Global Compact and abide by its ten principles. We have signed an agreement with the Committee for the Full Participation and Inclusion of Persons with Disabilities (COPIDIS) through which we can help other sectors of our community, by providing training courses. 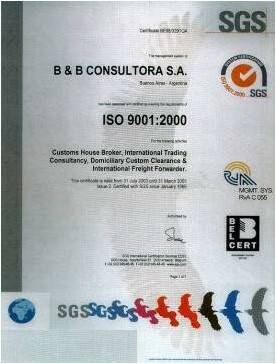 Some of those persons now work for B&B Comercio Exterior. B&B Comercio Exterior: “Less words, more actions”.